Mix well butter at room temperature with sugar and vanilla sugar. Add the eggs, stirring until it becomes a homogeneous composition. Then add the orange zest. In a bowl mix the sifted flour with baking powder, then incorporated into the composition, little by little, stirring slowly and alternative adding milk. Then add blueberries and mix gently to not smash them. Place baking muffin paper in muffin tray and fill halfway with batter. 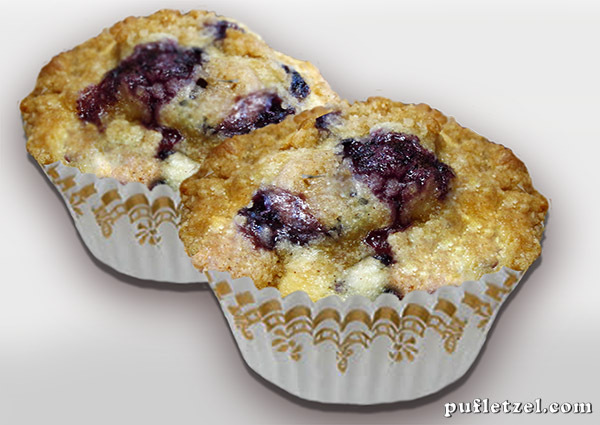 Bake muffins in preheated oven at 180-190 ° C for 25-30 minutes or until pass the toothpick test. Quantities should be enough 12 muffins.